Choose a payment method that suits you. Direct debit is a simple, safe and convenient way to manage your bills or make regular or occasional payments from your bank account. If you are an existing client and would like to arrange to set up a direct debit, please contact a member of our Credit Control team on 01522 531341 – we will take you through the process step by step. As part of the engagement process you will receive a direct debit mandate form – once completed this can be returned to us in person, posted back or sent to us via our on-line secure portal. 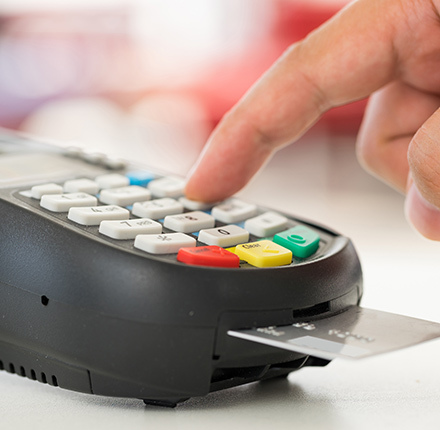 For your security and peace of mind Wright Vigar Limited are compliant with the requirements of the Payment Card Industry Data Security Standard (PCI DSS) and hold a current compliance certificate to this effect. Card payments are currently accepted over the telephone between 8.30am and 5.00pm – call 01522 531341 and ask for a member of our Credit Control team. Please note – we are unable to accept American Express cards. Secure Online Card payments can also be made by clicking the ‘Pay Securely Online’ button on the right. Payments via cash or cheque are accepted by post or in person at the Wright Vigar offices in Lincoln, Gainsborough, Retford and Sleaford. If you have any queries with your invoice, please contact your dedicated Client Manager who will be able to deal with your enquiry swiftly. For any other payment queries please contact the Credit Control team on 01522 531341 or email them at creditcontrol@wrightvigar.co.uk and they will be happy to help.